With the theme of Redefining Actuary For An Ever-Changing World, this conference uncovers the various aspects of the actuarial role in varying fields, including but not limited to data analysis and risk management. “The main inspiration behind our effort to organize this conference is to provide greater exposure for our fellow course mates to the ever-changing field of actuarial industry and to the new opportunities that have emerged over the past decade, equipping them to be more competent in this era of data revolution,” said Organizing Chairperson Seervina Kaur. 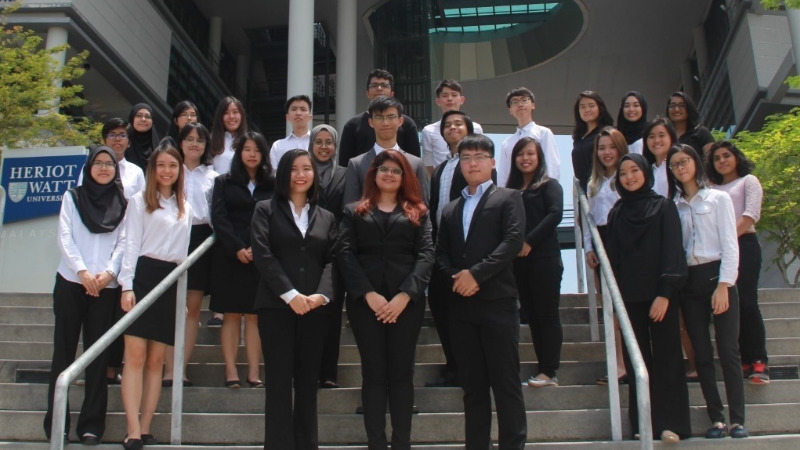 Seervina, along with her Committee members, Teoh Hui Ying and Law Ying Cheng, are Year 3 BSc (Hons) Actuarial Science students at Heriot-Watt University Malaysia. The Committee has organized an interesting conference for the attending guests, which includes a keynote speech, plenary talks, as well as panel discussions that facilitate the sharing of experience and perspectives from leading members of the insurance industry. “We have invited guest speakers to talk on a wide range of topics including traditional insurance, Insurtech and enterprise risk management (ERM). This is an excellent opportunity for students to explore the many potential future pathways ahead. We believe everyone will benefit greatly from this conference!” enthused Seervina.